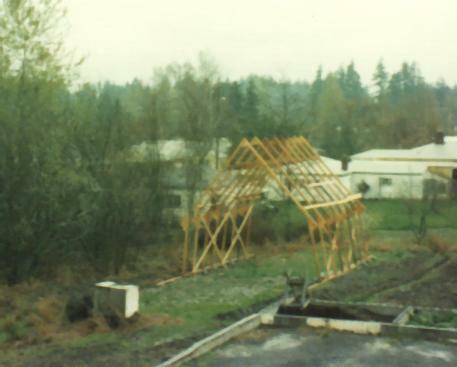 The "temporary" shelter construction is begun (in 1972 if I remember correctly.) I later had the inside leveled out with a tractor and a cement slab poured to form a foundation to build on. This turned out to be a very good move since it has been there much longer than the original estimate of a couple of years.